If your landlord won’t accept your personal check or you’re sending cash to a family member, you may need a money order. Like checks, money orders can be used to pay for just about anything. They’re essentially a type of prepaid payment that you can purchase using a debit card, a check or an electronic payment. Can you buy a money order with a credit card, too? Before we answer that question, let’s explore how money orders work and when to use them. 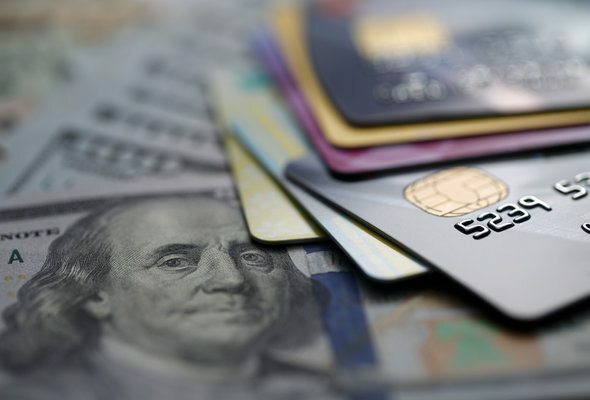 Find out now: Which credit card is best for you? You can use a money order when you would rather not (or you cannot) use a wad of cash or a personal check to make a payment. Compared to dollar bills and checks, money orders provide a more secure way to pay for an item. A separate entity – like a post office – must confirm that you have enough funds to buy a money order. Therefore, you won’t have to worry about overdrawing your checking account or trying to make a payment with money you don’t actually have. Using a money order could be a good idea when you’re sending money through the mail or paying a stranger. Like a check, you must identify who can use the money order. So if someone steals it, he won’t be able to use it. Since you don’t need a checking account number to buy one, a money order won’t leave your bank account vulnerable to thieves. You’ll find money orders at a variety of locations including 7-Eleven and Western Union. You must pay for the money order upfront and sign it. The recipient must sign the money order as well in order to accept the payment. Related Article: Is a Checkless Checking Account Right For You? There are many ways to pay for a money order. While you can purchase one using a credit card, doing so may not be the best idea. For starters, buying a money order with a credit card can be expensive. Your card issuer will categorize the transaction as a cash advance. That means you’ll have to pay a fee. The interest rates tied to cash advances are usually higher than the ones tied to ordinary purchases. And interest usually kicks in immediately. So even if you pay off your cash advance right away, you’ll have to pay extra to cover the interest. In short, using a credit card to buy a money order is like borrowing money to buy cash. In most cases, it just doesn’t make sense. Moreover, if you have a rewards credit card, you won’t be able to use a money order (or a cash advance) to earn points, miles or cash back. Even if you wanted to buy a money order with a credit card, not all places accept credit cards. The U.S. Postal Service won’t let you buy a money order with a credit card. Walmart won’t either. Instead of using a credit card to buy a money order, you may want to consider using another secure payment method. That way, you’ll avoid high interest rates and fees. If you have a checking account, consider setting up automatic payments so that you can pay your bills directly from your account. You could also set up bill payments through free apps like Mint. If your landlord won’t accept money orders or credit cards directly, you could pay rent with a credit card through a service like RentShare. You could also use a third-party like PayPal or Venmo for quick money transfers. While you could technically buy a money order with a credit card, the bottom line is that it might be too complicated and too costly. What’s more, not all money order issuers accept credit cards. If you can’t use a debit card or cash to purchase a money order, you’re probably better off using an alternative payment method.